SWEETWATER, Fla. - A Sweetwater City Commission candidate's campaign was cut short on Friday after he was arrested at his home. 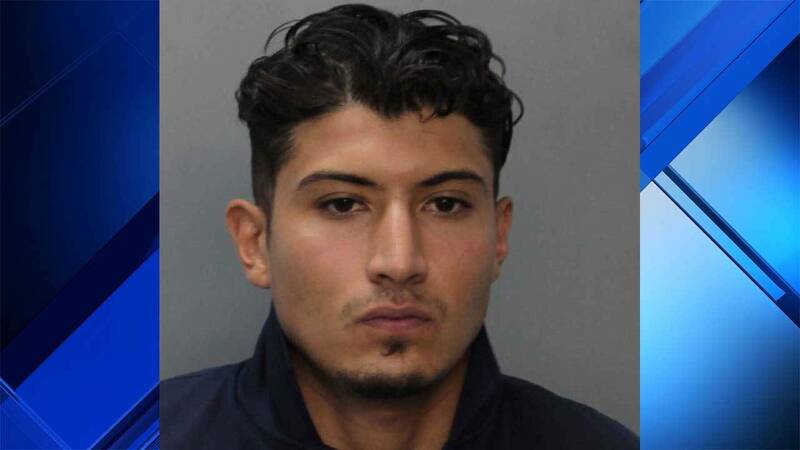 Jose Ernesto Mejia Reigada, 29, who has a criminal record, faces three counts of cocaine trafficking, according to the Florida Department of Law Enforcement. He has been arrested for marijuana possession twice in South Florida. Last year, he was arrested in Collier County, and five years ago, he was arrested in Miami-Dade County. "With cocaine deaths continuing to rise across Florida, it’s imperative to stop the flow of drugs into our communities, and these arrests will help that effort in Sweetwater," FDLE Miami Special Agent Troy Walker said in a statement. FDLE agents worked with Drug Enforcement Administration agents and Sweetwater Police Department detectives after receiving information from a confidential source about Mejia's alleged involvement. Christopher Laboy was arrested on Friday in Miami-Dade County for cocaine trafficking. The investigation also resulted in the arrests of Christopher Laboy, 24, and Angel Berdecia Campo, 63. Prosecutors charged Laboy with two counts of cocaine trafficking and Berdecia Campo with one count of cocaine trafficking. "As we know only too well, drug trafficking corrupts all that it touches," State Attorney Katherine Fernandez Rundle said in a statement. "The allegations contained in these charges are extremely serious for all of the individuals arrested." It wasn't the first time Mejia had campaigned for office in Sweetwater. He ran for office last year and lost. This time his motto was, "We need real change. We need young individuals with fresh perspectives on the commission. It's time we make Sweetwater great again." In 2017, he joined a class-action lawsuit against Uber, contesting the ride sharing company's policy against drivers and passengers carrying guns. At the time, Mejia argued that he needed his firearm to protect himself while he was driving for Uber.